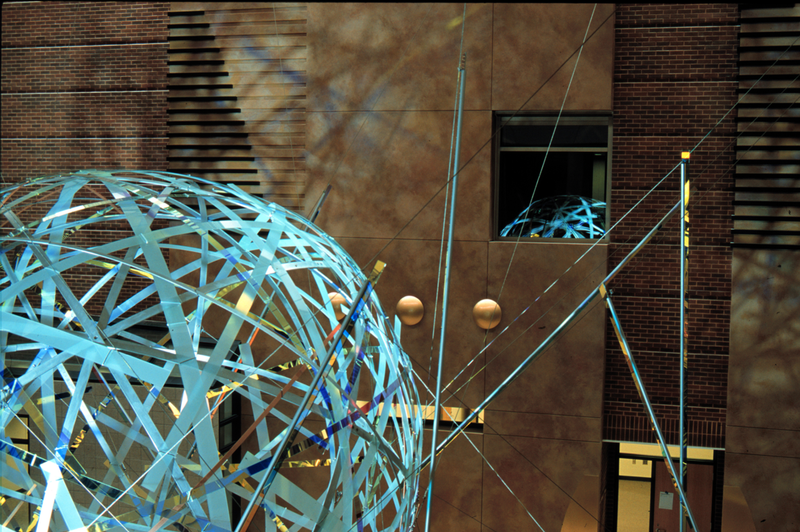 The Carlson School of Business at the University of Minnesota prides itself on an international outlook and progressive teaching methods. Its new building is designed to foster interaction between faculty and students by incorporating an open atrium as the center of all the school’s activities. 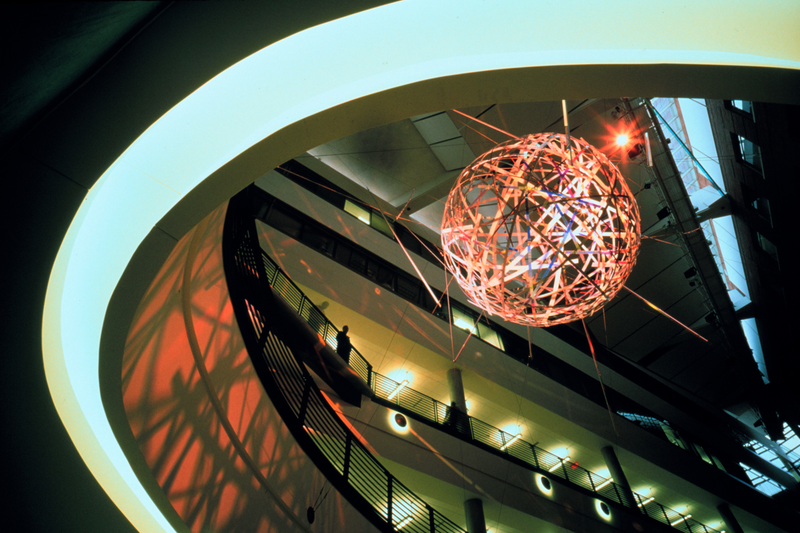 Carpenter’s sculpture provides a single, luminous focus to the interior space. 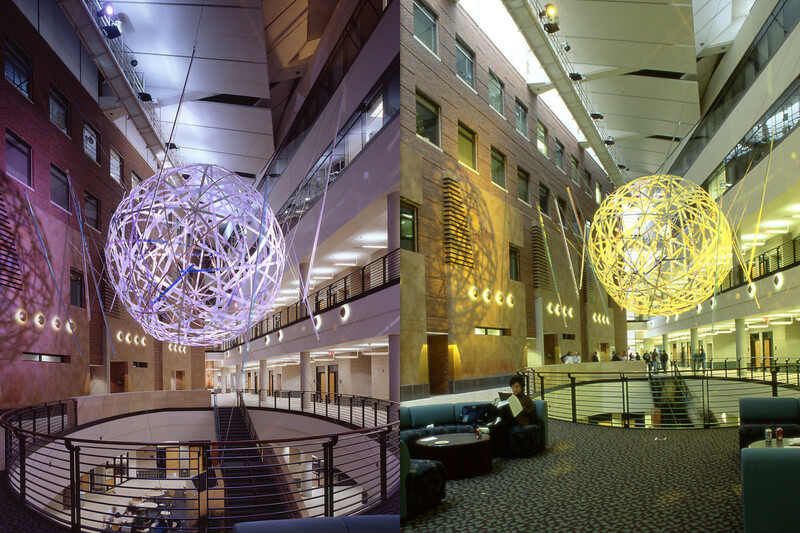 This piece seeks to provide the pearl to the building’s oyster: an enigmatic glowing sphere suspended above the grand stair, connected by cables to critical parts of the architecture, symbolizing the global interconnectedness and collaborative spirit of the Carlson School, and suggesting a state of continuous change and evolution. It makes use of bending of tempered plate and dichroic glass, a process pioneered by Ed Carpenter. 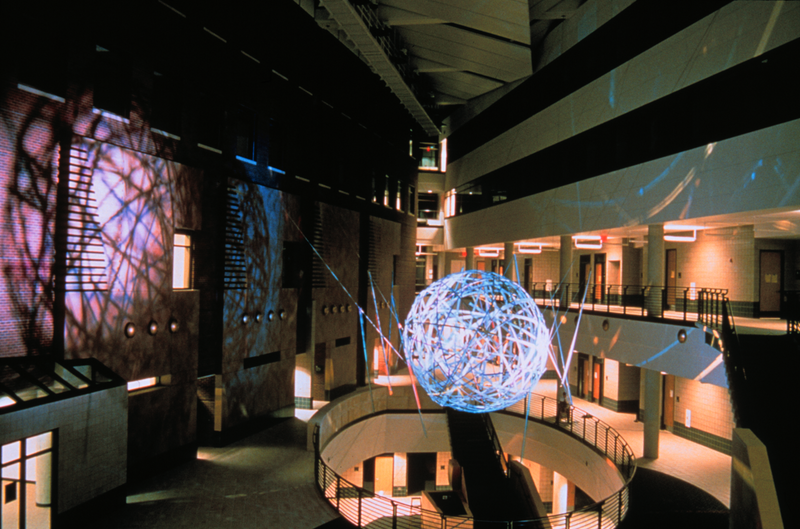 Powerful programmed lights focused on the sphere illuminate it day and night in a continuous cycle of subtly changing coloration while simultaneously projecting enlarged and distorted images on the walls of the atrium. Materials: Cold bent tempered plate and dichroic glass, aluminum, copper, stainless steel, and computerized lighting.